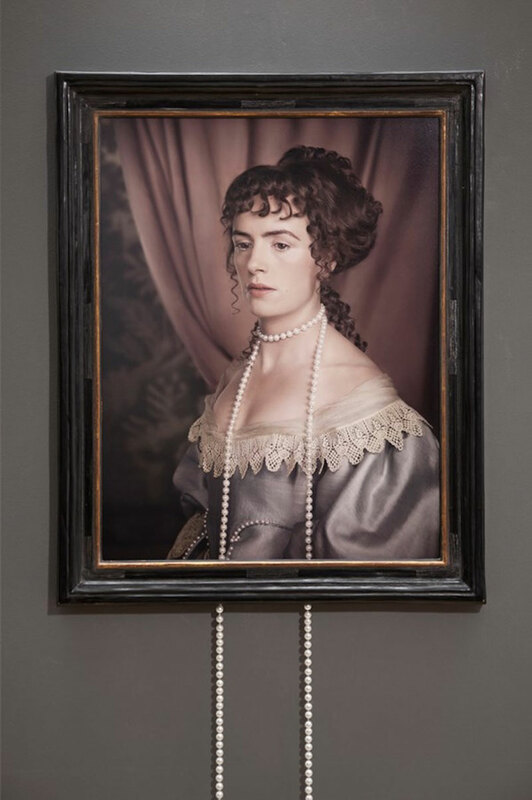 A series of photos with pearls spilling out of the frame by London-based artist Maisie Broadhead. 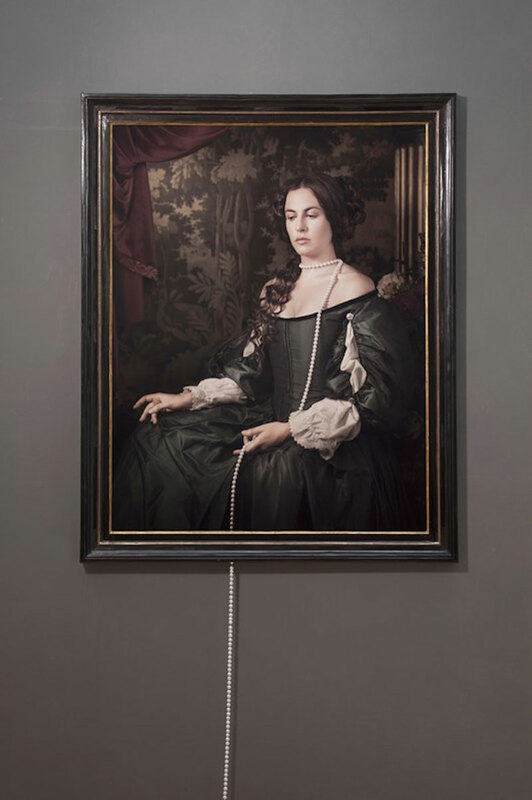 The images explore seventeenth century formal female portraiture which at the time were commissioned by privileged European families to reveal the beauty of their young daughters before marriage. The opulent portraits were designed to seduce the onlooker and idealized wealth through expensive fabrics and beautiful jewels. 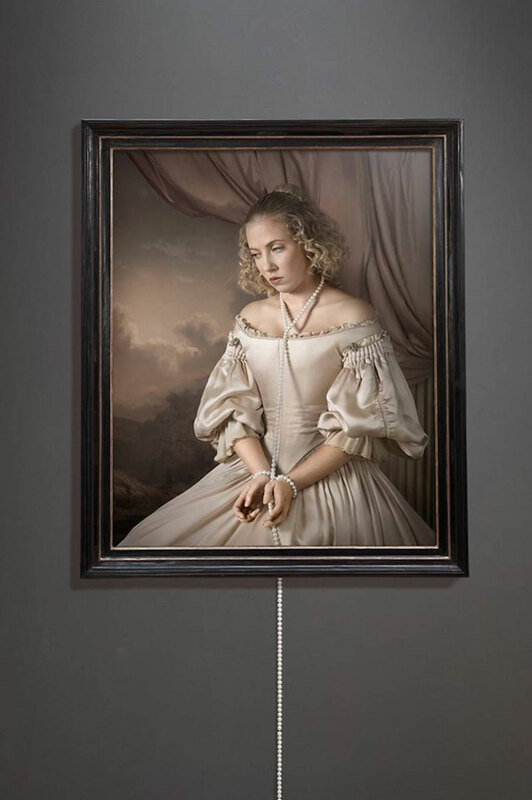 The presence of the pearls, which exists as object and image, are arranged in a humorous manner such as a noose around the sitter's neck or tied by a ball and chain. 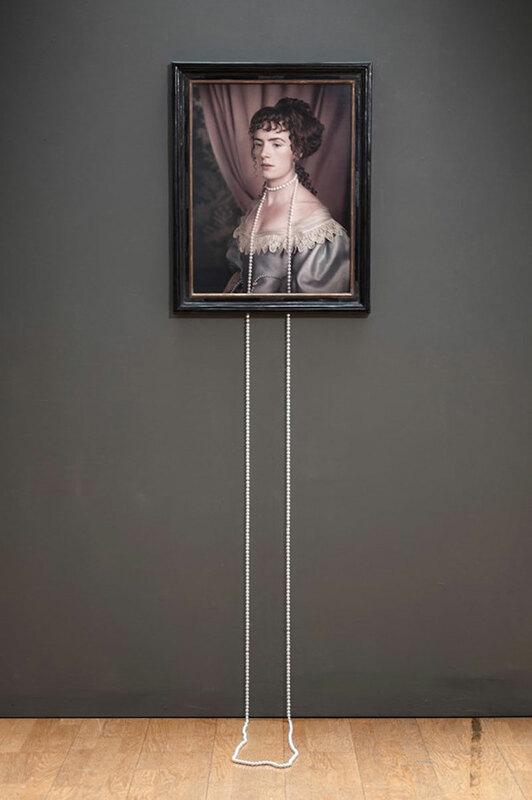 They add a sculptural element to the artist’s work and makes the photographs much more appealing. 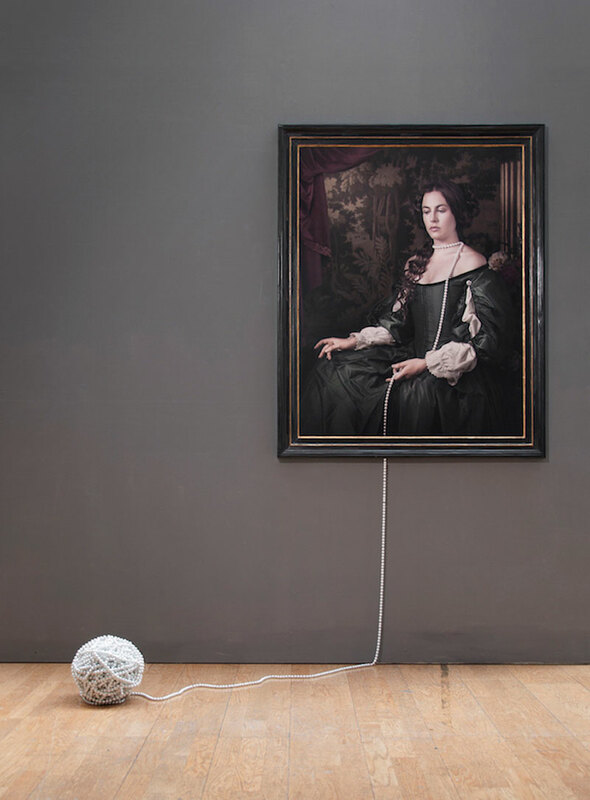 On view at Sarah Myerscough Gallery through June 30. 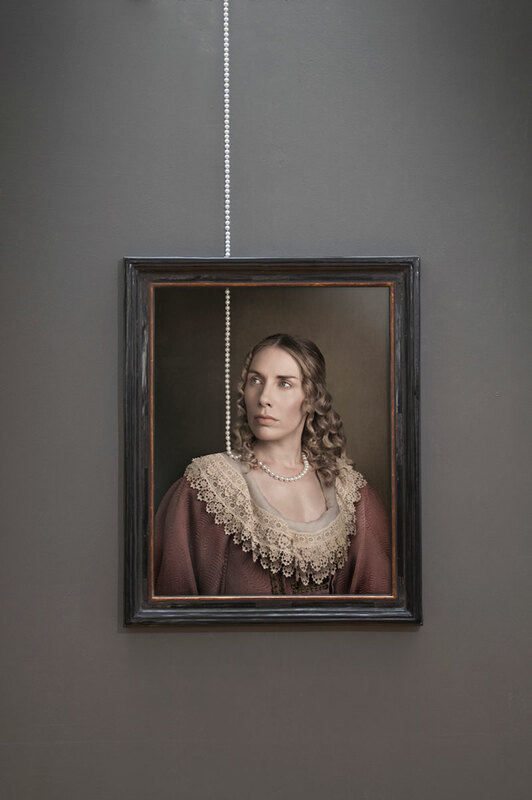 A series of photos with pearls spilling out of the frame by London-based artist Maisie Broadhead.